In the wake of Tropical Cyclone Debbie and the damage she caused to Tropical North Queensland, Port Douglas has adopted the typical Australian attitude of ‘she’ll be right’, welcoming stranded holidaymakers to holiday in the untouched coastal destination. The message is that although certain parts of the state have sustained damage and destruction, the majority of Queensland is unaffected and Port Douglas is very much open for business. Doing their best to accommodate holidaymakers originally booked for the Whitsundays, Port Douglas businesses are welcoming tourists with open arms. Despite key resort areas in the Whitsundays suffering the effects of the cyclone, Port Douglas is proof that the rest of the state’s tourism industry is business as usual. Tourism Port Douglas & Daintree (TPDD) and local tourism operators have come together in a concerted effort to market the region as an excellent alternative for affected Whitsunday travellers. Offering a relaxing beachside holiday destination, stylish full-service resorts and a bounty of beaches, beauty, watersports and activities, Port Douglas holidays are the ideal option for holidaymakers whose bookings to the Whitsundays have been cancelled. According to Port Douglas tourism identity Wendy Morris, Queensland is a vast and varied mosaic that means weather events are rarely state-wide occurrences. Morris is set to join the Board of Tourism Tropical North Queensland (TTNQ) in June before taking her place as Chair after the AGM. A strong advocate for the promotion of regional tourism, Ms Morris said that positive perception and the promotion of all local regions is a ‘rising tide for all’. “We're all tough though in this state, and the Whitsundays will build its tourism industry back quickly. In the meantime, we can continue to support our industry state wide by, as we always do in the tropical north, putting our best foot forward,” she said. Federal Member for Leichhardt Warren Entsch agreed that it’s crucial to promote North Queensland regions that weren’t impacted by the cyclone. “While we will offer support, hold fundraisers and assist in other ways, we still need to spread the message that resort towns such as Port Douglas are open for business,” he said. 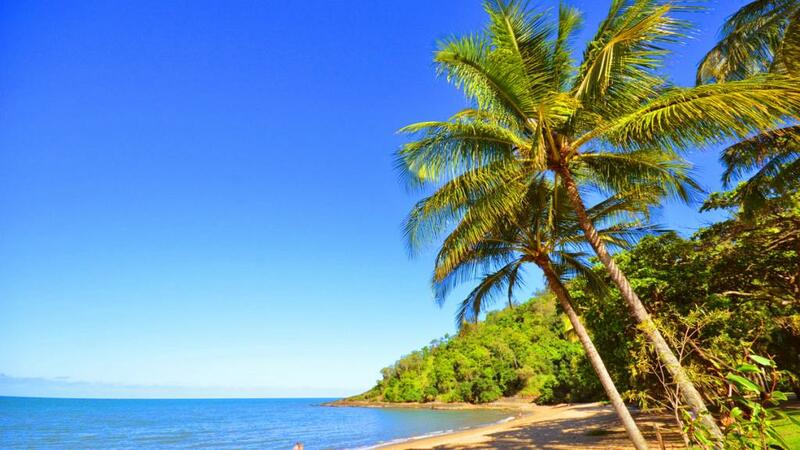 Port Douglas tourism bodies understand that many families treat themselves to one special holiday a year and that if those plans had been impacted by the cyclone, it could spell disappointment for many Australian families. The message is clear, you don’t have to miss out – come to Port Douglas and experience all the wonders it has to offer.